Olivier Rondeau, born in Montreal, Quebec, started learning to play guitar at 12 years old. His early influences include Jimi Hendrix, John Frusciante and rock music in general. Olivier’s goal was to create, just like his idols, his own original compositions. Driven by a growing curiosity for music, he studied music at Cégep de Joliette and then at Concordia University in Montreal, where he discovered blues, jazz, and improvisation (Pat Metheny, Robben Ford, John Scofield, Charlie Hunter, and Chick Corea, to name a few). Later, he started playing folk music while working with the Yves Lambert Trio, and was inspired by guitarists such as André Marchand, Ed Boyd, John Doyle, Jordan McConnell, and Ian Carr, blending together his earlier influences with these more traditional approaches. Olivier gained broad experience by collaborating with Yves Lambert, singer-songwriter Marie-Marine and Lawrence Lepage. In addition to touring and performing with them, he signed some of their arrangements and productions. He notably also worked with Charles Papasoff (jazz), Nicolas Pellerin (Québec traditional powerhouse) and The McDades (trad family band). 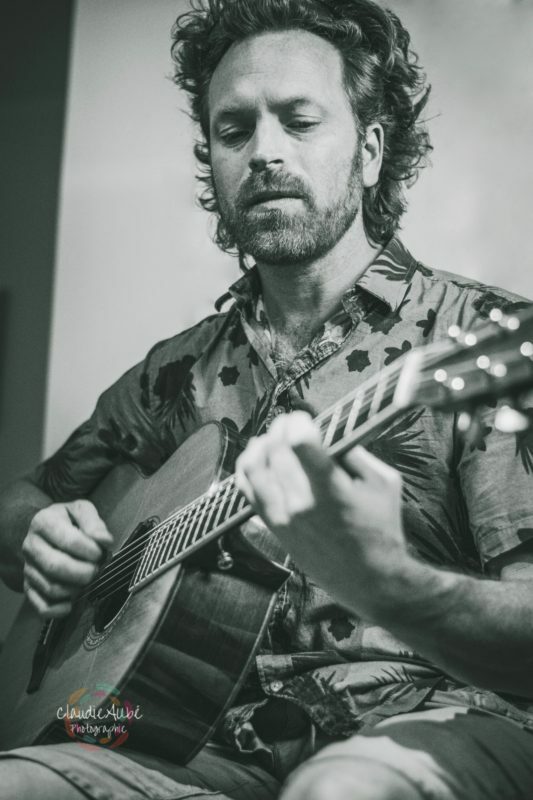 After seeing folk guitarist Jordan McConnell employ a novel approach to enhancing the bass string of his acoustic guitar, Olivier began experimenting with this technique and in doing so has developed his own trademark style that adds fresh and compelling colour to the naturally energized Québec trad sound. HIs playing is notable for the exciting way it connects past and present influences. In his spare time, Olivier is a songwriter and was honoured to be an official selection at the famous Petite-Vallée song festival in 2013. He also teaches music at Collège Lionel-Groulx in Montréal.